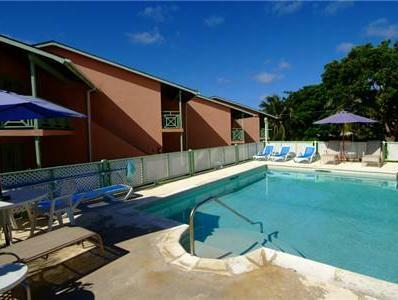 ﻿ Best Price on Travellers Palm in Saint James + Reviews! This resort is located near the shores of the Caribbean Sea, less than 0.6 mi from the shopping in Holetown’s city center. It offers an outdoor pool, guests van enjoy the onsite restaurant. Each apartment at The Palms Resort Inc Travelers Palm has a kitchen with a cooker, large refrigerator, and microwave. They include a separate living area with cable TV and a sofa bed. The Green Monkey Golf Course is 2.5 mi from Traveler’s Palm Resort. Bridgetown, the capitol of Barbados, is within 20 minutes’ drive of the accommodations. Please note that a US$2.50 per night Levy Government tax will be charged upon check out. This applies to all Barbados properties as of July 1st, 2018. Upon check-in photo identification and credit card is required. All special requests are subject to availability upon check-in. Special requests cannot be guaranteed and may incur additional charges. Please note that all guests will receive free 24 hours worth of WiFi access on arrival. Once the 24 hours have expired there is a charge of $8 per hour, $20 for 7 days or $30 unlimited from 8 days or more. Please inform Travellers Palm of your expected arrival time in advance. You can use the Special Requests box when booking, or contact the property directly using the contact details in your confirmation.